Is UK housing in the dark ages? The UK’s current model for building homes was put under scrutiny at a recent conference hosted by Mitsubishi Electric, ‘Transforming the Housing Technology Mindset’, by a group of industry experts who argue for a revolution in the housing sector. PHAM News reports. Earlier this month, Mitsubishi Electric gathered together a panel of industry experts to discuss why the entrenched views and traditions of the UK house building market needs to go through its own revolution to bring about real, sustainable change. 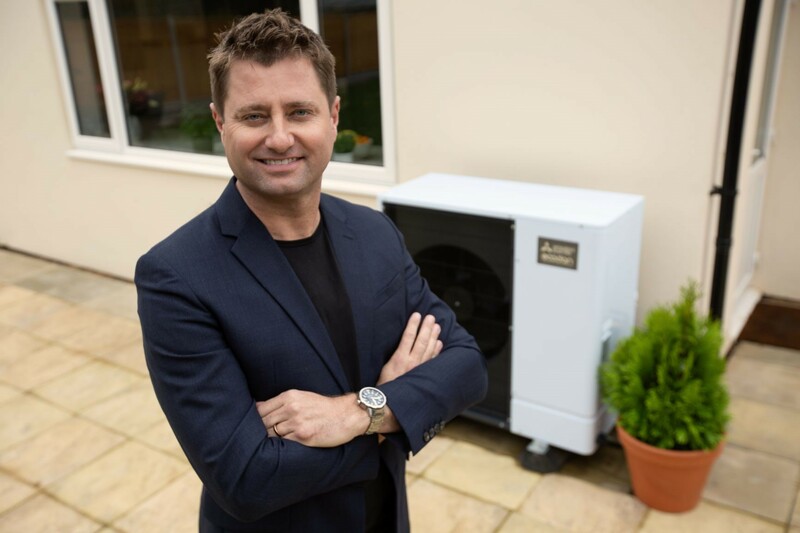 The conference, called Transforming the Housing Technology Mindset, saw talks from TV presenter and architect, George Clarke; Nick Whitehouse, founder of Buildoffsite; and Mitsubishi Electric’s own experts. The packed-out audience included architects, specifiers, housing associations and heating engineers who heard about the need for increased building standards and more use of renewable technologies. The panel discussed how the traditional building technologies and processes have fundamentally remained the same for centuries, and, while so many other industries have gone through radical change, the domestic construction market has been stymied by inaction, government apathy and indecision. It was discussed how a need for new solutions and new thinking is required to radically change the current status quo. The main theme of Ecodan ambassador George Clarke’s presentation was innovation. He said: “When you look at almost all other aspects of our life, the pace of change and revolution has been exceptional. A government report released in 1997 recommended sweeping changes to the way homes are built and heated. When you consider this report was released a year before Google was founded, you only need to look at the technological revolution that followed for this to see how far behind the housing industry really is. Innovations discussed by the panellists included the need for more modular-built homes that can be manufactured indoors to increase build quality, with the potential to lower costs by 33%, increase delivery speeds by 50%, and halve carbon emissions. George Clarke described modern house building as being done ‘like the Romans’, which is a problem when trying to meet government targets of 300,000 new homes per year. He pointed out that, currently, around 200,000 new homes are built per annum, which amounts to nearly 17,000 per month. “At that rate, standards are being compromised every step of the way. It’s become a numbers game, so we need to think differently about how we do everything in the industry. There is a massive lack of R&D in this area, which sustains the dysfunctional delivery model. He suggested that innovative, off-site construction of houses could deliver more homes, with less embedded carbon, and at a faster rate. Such homes would be ideal for the use of renewable technologies, he said. For home heating, renewable energy sources were widely praised as the best solution to lift those in fuel poverty out and help reduce carbon emissions. Among the renewable solutions discussed were the further education and widespread adoption of heat pumps within the housing market. Martin Fahey, Head of Sustainability at Mitsubishi Electric, spoke about an electric future and how it could have a favourable effect on carbon output. “Demand for heat in the UK accounts for a third of all our carbon emissions and half of all greenhouse gases,” he said. “This represents a huge opportunity and is an area that needs to change if we are to ever cut our own carbon emissions, and it’s an area that can change quite quickly if we apply the technology.